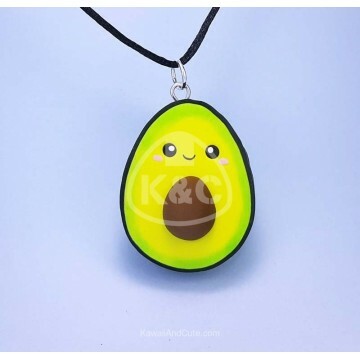 Cute Design of kawaii avocado necklace. Perfect gift to avocado lovers. Very light and comfortable to wear. We hope you enjoy it as much as when we created it.